Airport security inspection mainly uses security inspection equipment to detect and separate contraband in passenger’s carry-on items, and to eliminate the measures of bringing items endangering flight safety to the airplane through person, carry-on baggage, check-in baggage and check-in goods, so as to ensure the safety of people’s lives and property. 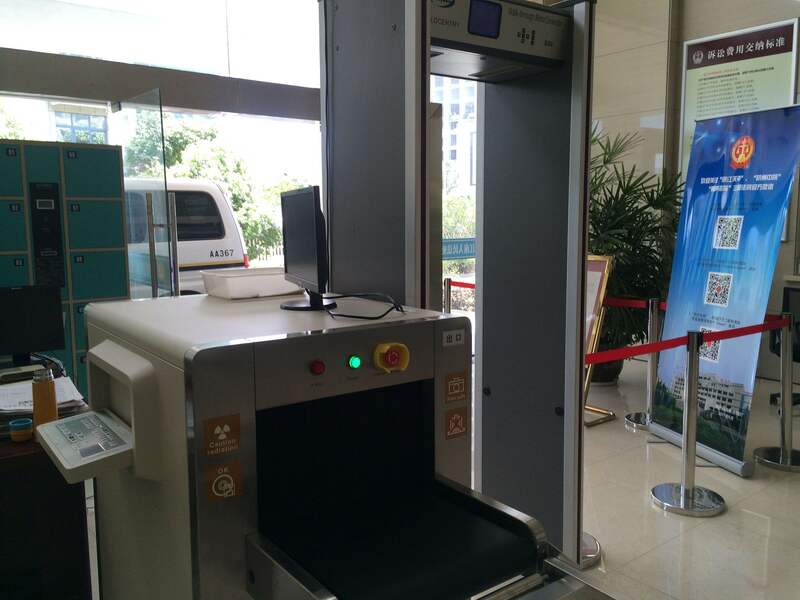 According to the basic process of personal security inspection: put the coat (if it affects personal inspection) in the security inspection tray alone, put the metal products (keys, watches, mobile phones) in the security inspection tray; pass through the metal security door; if the alarm is given, the security personnel use the hand-held metal detector for manual review. American airports and some European Union airports began to use human body scanners. At present, the main uses are millimeter wave human body scanners and backscatter human body scanners. In some airports, passengers need to take off their shoes and go through the security gates. The shoes are inspected by X-ray Security Analyzer alone. There are also X-ray security analyzers specially designed to scan shoes. The improvement of security inspection level is usually related to international events and major security incidents. For the basic process of security inspection of carry-on luggage: most airports require to take out the computer in the bag, put it in the security tray alone, go through the X-ray security inspection machine; take out the liquid and seal the bag separately (if any) for bottle opening inspection. It is forbidden to carry liquid articles with you at domestic airports, a small amount of cosmetics for travel and self-use, and the volume of containers should not exceed 100 ml; carry-on baggage has passed X-ray security checker; if there is a suspicion, the security personnel will re-pass the X-ray machine or open the case manually; if suspicious items are found, they will be handled professionally.